Link Party: 10/5-10/9 – Zoë Lance. 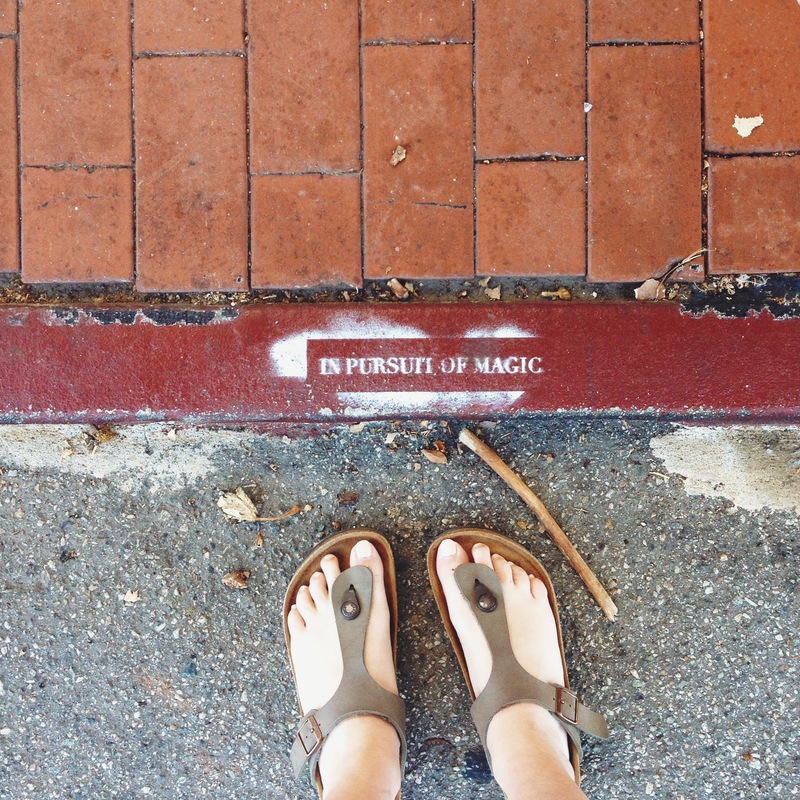 I keep finding little spray-painted phrases and pictures around Santa Monica. Love the concept. Here’s one featuring my feet and a stick. 1. The secret to great driving songs. 2. This story about a New England magazine that has managed to stay in business for 80 years makes me believe in the future of journalism. 3. After reading about it and how it’ll stream Paul Thomas Anderson’s latest movie, I think I’m going to have to take a closer look at MUBI. 4. In light of the Oregon Shakespeare Festival’s decision to modernize the plays, here’s the history of changing Shakespeare’s language. 5. After reading about Sloane Crosley’s “The Clasp,” I’m excited to get my hands on it. And two bonuses: Two monks invent religious iconography. Mallory Ortberg is a national treasure. This week I’ve also been listening to You Must Remember This, a podcast about the forgotten or secret stories of Hollywood. Specifically, I’ve been listening to the 12-part series about Charles Manson’s Hollywood. It is incredible.